Inspired by the diversity of her instrument, Ana explores undiscovered musical interfaces, alternative ways of thinking and new art forms. She also continues to develop as a composer of original works, arranger and soundscape artist. Ana actively collaborates with contemporary composers premiering works dedicated to her - “World Concert” for Violoncello & Ensemble by Oliver Ostermann, “Rhapsodia Concertante” for Violoncello & Orchestra by Lucio Bruno Videla, “Diamant” for Violoncello Solo and “Liturgy of Matter” for Violoncello & Electronic by Federico Placidi - to name a few. Outstanding cantabile…new dimensions of intensity. Marvellous! Her solo performances can often be heard outside of a typical concert hall - bringing her audience to perceive music in a new way, Ana regularly performs in galleries, museums as well as in theatre halls. Together with multi-genre dancer and choreographer Rosalie Wanka, Ana created theatrical pieces “Bezirzungen” and “Landscapes of my Inner Diaspora” receiving critical acclaim in the press. Without changing a single note of the original music scores, Ana Topalovic und Nikola Djoric bring to life intimate vision of classical music repertoire ranging from baroque to contemporary pieces. 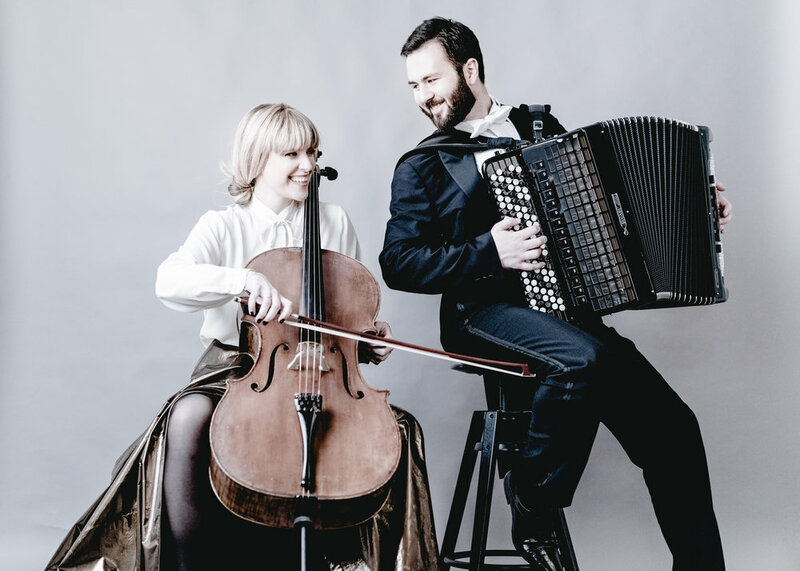 ...both performers, or rather their instruments blend together and complement each other in a most excellent way, they meet in an intimate embrace. Wonderful! Ana’s own “boutique festival” in charming BRICK5 in Vienna. Uniting international musicians with visual artists, fashion designers, dancers and actors in a beautiful synergy of art, available only to a smaller audience. The Festival is supported by Austrian Ministry of Culture and City of Vienna.